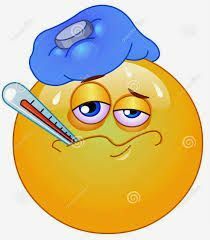 Mariner High School » Our School » Clinic "Sick Bay"
Reminder that ALL students must complete an Emergency Contact Form AND a Student Directory Information Form. Both are available in the clinic or below in English and Spanish. Medications and forms will be accepted starting at Open House, Saturday August 4, 2018. My name is Ms. Vickie Daley and I have been at Mariner High School since 2014! I am here to ensure your student is safe and to help your student with health problems that interfere with their ability to take part in the every day school activities. Some clinic services include: first-aid care, vision, hearing and postural screenings, counseling on health problems, communicable disease control and maintaining cumulative health records on every student. In non-emergency situations, a pass is necessary. A teacher will make out a pass to the sick bay (clinic) to be given to the clinic assistant. If a student feels sick at any time, she/he should ask for permission to go to the sick bay (clinic). Only medication that is prescribed by a physician will be administered to students and only in the sick bay (clinic). A Medication Administration Form 398/401 must accompany all medications to be given during the school day, including over-the-counter drugs. With proper physician and parent permission, the clinic may authorize a student to carry asthma inhaler medication. Prescribed life-saving emergency medication, such as an epi-pen, may be carried by the student, if responsible, or kept in the clinc. Appropriate forms are available from the nurse or below for you convenience. You can download, fill in, print, sign, and hand in forms to the sick bay located next to the guidance department in the main office. Follow instructions below. If you are able to print these forms, then please use the steps below to complete and return the necessary school forms. Otherwise you can pick up pre-printed forms from the clinic on campus at any time. 1. Open the form you want to complete (you can download or save it to your computer, but it will only save a blank form even after you type the information in; be sure to print the form as soon as you complete it). If you do save the blank form, save it in a location you can find easily. Save the PDF to your desktop or your "documents" folder to make things simple. (Remember to take note of where you saved the file). 3. Click the "Highlight Existing Fields" to view all fillable fields in the document if the fields are not already highlighted. Click on a highlighted field; your cursor will change appearance and you can type into a field. Pressing "Tab" will move the cursor from field to field. You can press the space bar key to mark a check box. 4. PRINT the completed PDF immediately; remember that MOST computers will only save a blank copy of the form. 5. Be sure to have all forms signed by appropriate people (doctors, parents, students, etc.). 6. Please bring your printed and signed forms to Ms. Daley in Sick Bay located in the front main office next to the guidance department. All forms must be submitted to the nurse by September 1st in order to remain in classes.